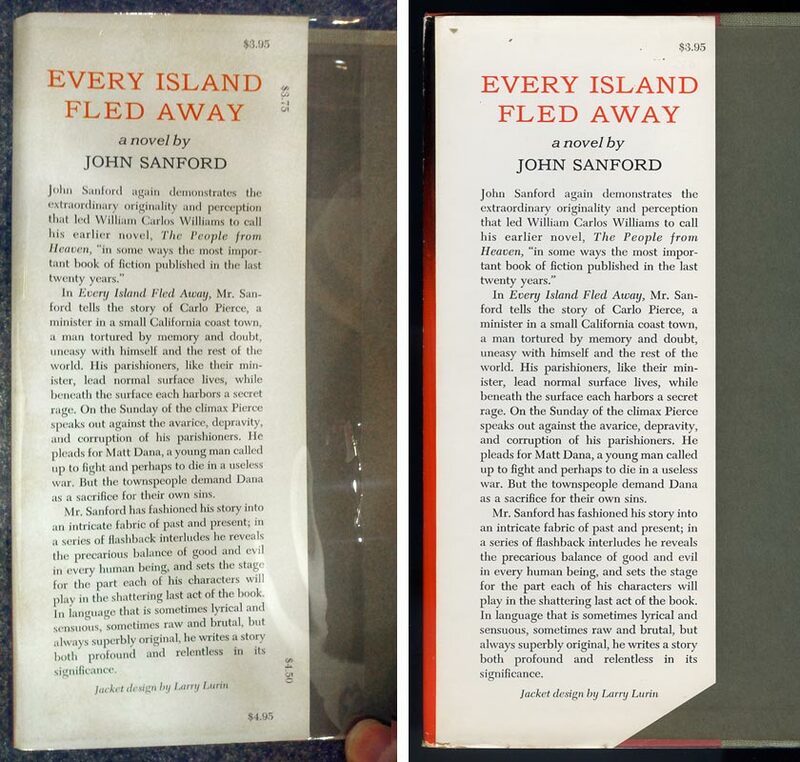 On the left, the pre-publication, uncut jacket flap for John Sanford's 1964 novel, "Every Island Fled Away." On the right, the jacket flap of the first edition as issued, priced $3.95 with the other prices clipped away. 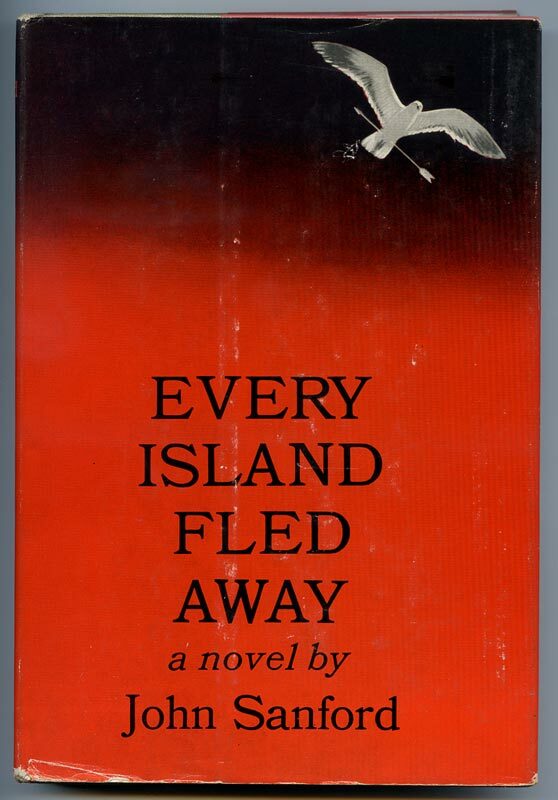 John Sanford, by the way, is a rather interesting literary figure – he was a novelist and screenwriter who began publishing in the 1930s. 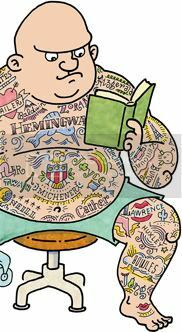 Some consider him one of the best “neglected” American novelists. Called before the House Un-American Activities Committee, he and his wife, the screenwriter Marguerite Roberts, refused to name names and their professional output trickled to a stop for many years. Eventually their careers bounced back (among her many screen credits, Marguerite wrote the screenplay for the John Wayne version of True Grit). Late in life Sanford seemed to make up for lost time – approximately half of his two dozen books were written and published after he turned 80, and reportedly he was writing right up to his death in 2003 at age 98. Why are “first edition” and complete number lines listed on the copyright pages yet there is no price on the inside dust jacket flap? Consider writing ellisstanley154@msn.com about Hillerman.